I written before that I occasionally experience something that feels like a "Revitary alignment" regarding features in Revit. I'll see a post at AUGI or get an email or two from friends or clients asking about the same thing or theme. I recently ran into a user that manipulated their project by moving the Project Base Point. Then a post at AUGi meandered into a related conversation. Let's say you design a house, import a survey and it's off to the right and above your building. If you use Acquire Coordinates on the survey file you should find the Survey Point (CLIPPED) moves to mark the origin of the source survey data file (sometimes this is quite far away). The Project Base Point (CLIPPED) can be used to reposition the building over the site. Just drag or move it with specific values. What you see moving is the "Project". The file origin is untouched and you should see that the linked survey file isn't moving either. If you import a small origin "marker" file using Auto - Origin to Origin you'll find that it lands at the Project Base Point. Now if you move the Project Base Point (UNCLIPPED) you see that you can move the icon to another location but it still references the "survey coordinate system origin" (see image). That approach works for a single building on site but is not very effective for multiple buildings on site. The approach I advocate where we create a site file that is coordinated with survey data and serves as the master coordinator for multiple buildings which are linked into this master site file is much more effective and versatile. Since this subject can be confusing enough I advocate using the same approach for any project so I can learn one technique and use it over and over, since it works for any project. First of all, you have a great blog. When I insert a survey point and I acquire the coordinates sometimes the elevation is set to 0 even though the absolute height is 200 m (for example). The coordinates are OK but when I start to design and I make section or elevation I cannot get the absolute height. Thanks for the useful post, I do find Project Base and Survey Point very confusing sometimes. Do you know any way (via API as well) to find the File Origin point? 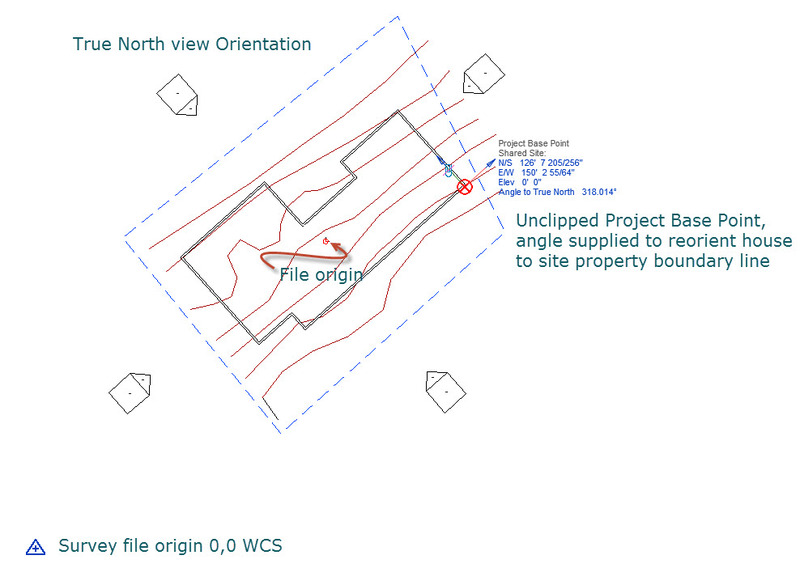 Most survey files are set at zero elevation but their contours are at the correct elevation. This means Revit can create a toposurface that places contours at the same elevation but the "elevation" of the file is "zero". Another way to think of this is that "zero" is sea level elevation. There are a few ways to place the building at the correct elevation. The way I prefer to do it is to use a site model and link the building into the site model and adjust its position and location there, "on site". The other way is to Relocate Project "up", but that is a sleight of hand magic trick. The building doesn't really move so you have to move the survey contours "down" by the same amount to look correct. The easiest way to "find" the file origin if you've moved the project base point is to right click on it and choose Move to Start up Location. The old way we used to do it was to import a small DWG file with some "mark" at the origin of the file. We'd use Auto - Origin to Origin. Regardless of what you've done with the project and survey point icons, it'll land at the file's origin. If you export from Revit using Project you'll get a result that ignores the shared coordinates. If you use Shared then it will export based on the source data that was used to acquire coordinates. there is question about survey point. the situation is this . I place survey point according to survey drawing and leave my project base point as it is.Then I link all the buildings into my site file and publish coordinates. well the building behave properly however my survey point doesnot match up across the board. I wondering do I need to move my survey point into every single buldg which I linked into site file. or the site file take control of buldg files thro publish coordinates. When the survey point icon is clipped it moves to "mark" the 0,0,0 origin of the source DWG file you used to established shared coordinates in your site project file. When it is not clipped it remains wherever it was but reports coordinates that reflect its distance from that origin (above). Each building you link and then publish coordinates to will have its own Survey Point shifted to indicate the same origin location relative to the site data. That might seem to vary a bit from building to building depending on the shape and size of what each model has in it. It should reference the same spot however and when you link each building to another using Auto- by Shared Coordinates they should line up properly. Hi Steve, Can you tell me if there is anyway that you can repostion the start up location ? If you mean change where the Start Up location "IS"...no. 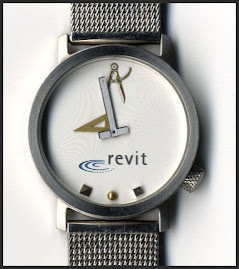 It is hard coded and it is the "origin" of the file...the "mathematical center" of the Revit world for that project. If you mean return the Project Base Point to the Start Up Location then yes...it is a right click option if it has been moved away from the it's location "un-clipped". Hope you are doing well. Here's an interesting one for you. You had mentioned that you cannot change the Startup Location of a Revit file. This had always made sense to me. However, recently, I found that a file I've been working on has been changed somehow. 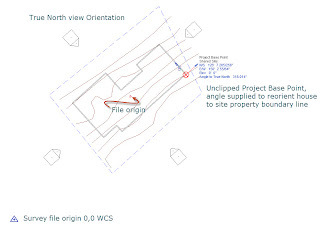 This particular file is a copy of one that had previously used shared coordinates to establish the building's elevation. In this new copy, the PBP and Survey Point are both at 0,0,0 with no rotation. If I unclip the PBP and move it to the Startup Location, it moves up to a higher elevation - the one pulled from shared coordinates with an earlier copy of the file. This has become an issue because when we now link in consultant files Auto Origin to Origin, they link using the incorrect elevation. Is there a way to get the startup location's elevation back to 0? Any help is greatly appreciated! It sounds like the PBP was moved, while clipped, to a different elevation and then moved, while un-clipped, back to "zero". When you un-clip and use Move to Startup it is returning to the first change of the PBP's location, while it was clipped. People seem to think they'll fix alignment issues by moving the PBP but it doesn't. At least it couldn't until Revit 2016 R2 came out, the new Auto - Project Base Point to Project Base Point positioning option. If you are using that version now you can try putting the un-clipped PBP where you all agree it should be and Link the file again using the new option.